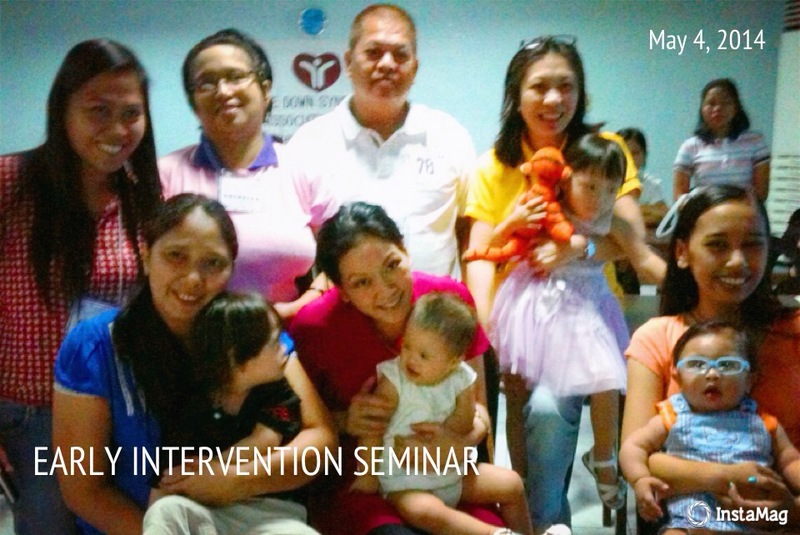 Today, my mom, sis and I attended the Early Intervention Seminar conducted by the Down Syndrome Association of the Phils, Inc (DSAPI). There were just a few of us who attended for the first time. Apart from us, there was a family who has a 2-year old boy with DS. There was also a SPED teacher who attended. Another teacher who attended has a 16-year old brother with DS, autism and ADHD. There was a nanny in Saudi who takes care of a child with DS but only attended the first part of the program. And the other was a caregiver, too. When I saw the invite in FB about a couple weeks ago, I finally decided to attend. I delt that I was finally ready to face the fact that my son has down syndrome. And with that realization, I needed to start taking action as early as possible. I am actually grateful that my Mom and sister were able to bring little Z here in the big metro and were able to attend the seminar with me. 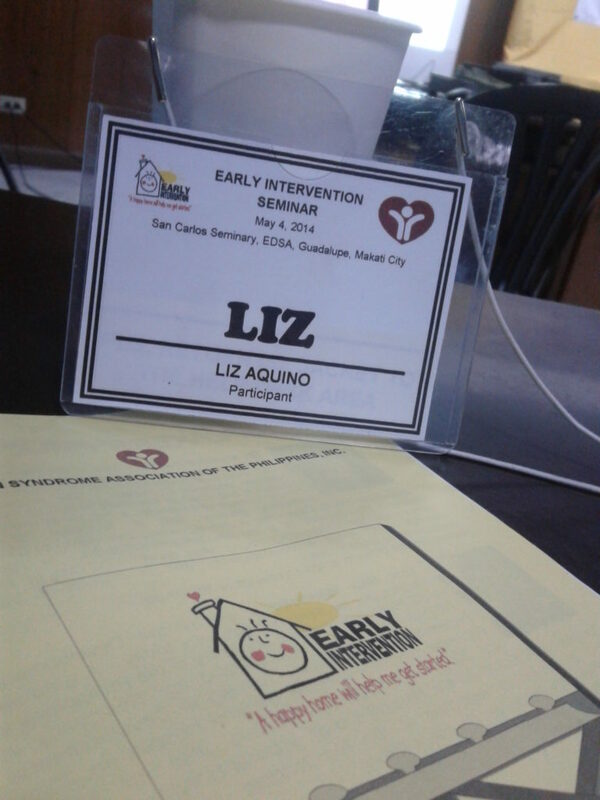 The first part of the seminar was a discussion of the importance of early intervention and the likes. This was followed by a group session where everybody shared their experiences when they have learned that their kids have down syndrome. Each table had a box of tissue so I was expecting a lot of tears to be flowing. And I tried to prepare myself for that. I am the type of person who does not cry in public as much as possible. This morning’s session broke my resolve and a few tears had flown. It can’t be helped. Hearing others’ stories, their experiences and you relate your own, it felt like being able to finally find a person (or group or persons for that matter) who can truly understand how you feel because they went through the same situation, they have felt the same fears, they have the same worries. And it was just so comforting to hear the words “everything will be fine” from someone who had actually been there. The afternoon session was more on the medical discussions – from genetics, developmental therapy until speech therapy. The topics covered the overview of what each therapy is for to help in the development of kids with DS. It was really very informative. I learned a lot and I think it gave me a starting point for my research in terms of trying to train and teach little Z at home as well.